We are proud to receive the 2016 Visionary Innovation Leadership Award from Frost & Sullivan and to be able to offer you a free download of their Healthcare Data Analytics Best-Practices Report. 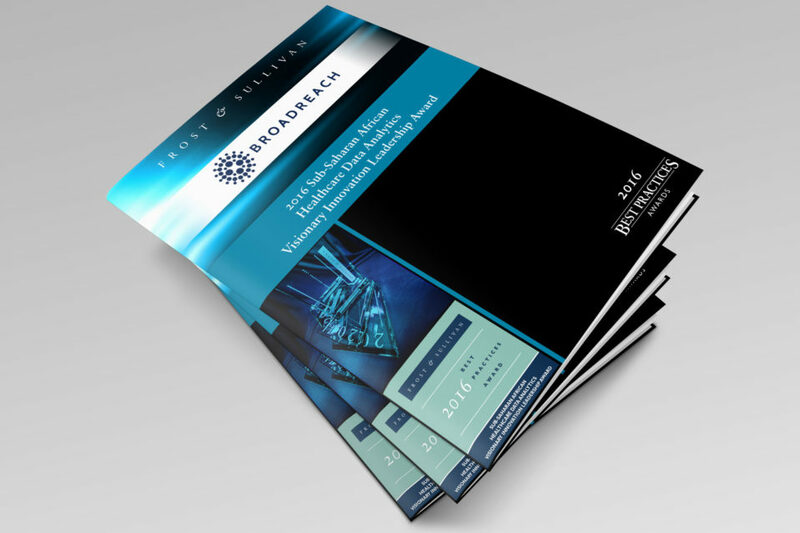 After a thorough analysis of the competitive healthcare data analytics market, Frost & Sullivan credits our company for standing apart with the introduction of BroadReach Vantage, a data-driven platform that integrates analytics and operational tools to power custom solutions. Tailored to the needs of NGO’s, donor organizations and private sector companies working in emerging economies, our solutions featuring BroadReach Vantage optimize resource allocation and build the capacity of teams to take effective actions that lead to lasting change. The platform includes flexible modules including dashboards to track key metrics, advanced analytics, workflow and collaboration tools to support service delivery and automated reporting. We hope you find the report informative and are pleased to be able to offer it to our constituents.